Ask about new EZ-Steer option! See video below! 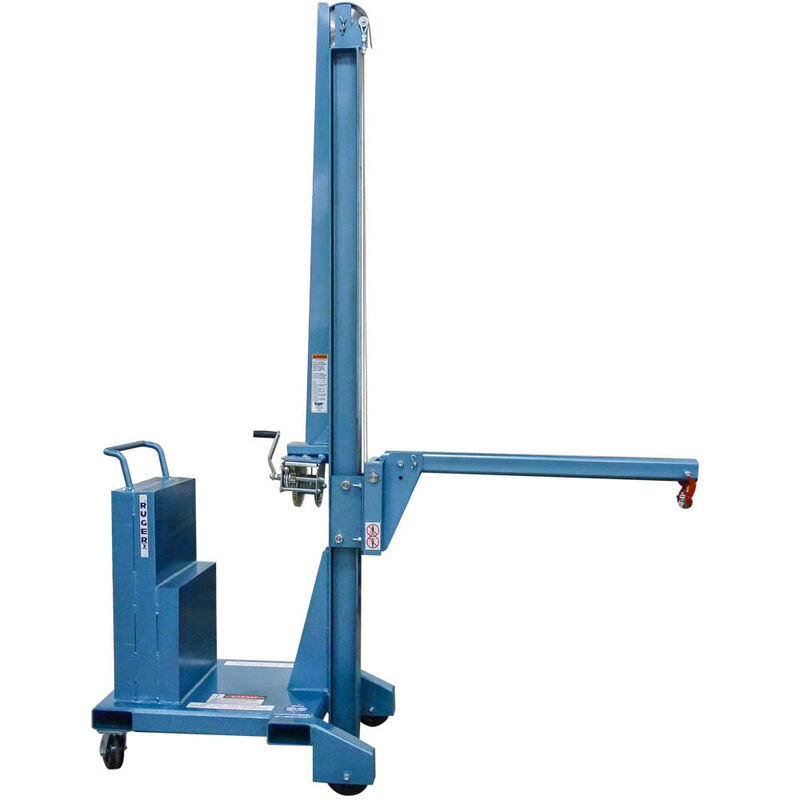 Ruger’s Manual Counterbalance Vertical Lift Truck is designed with a reverse base that allows for easier access to loads than traditional straddle leg style floor cranes. 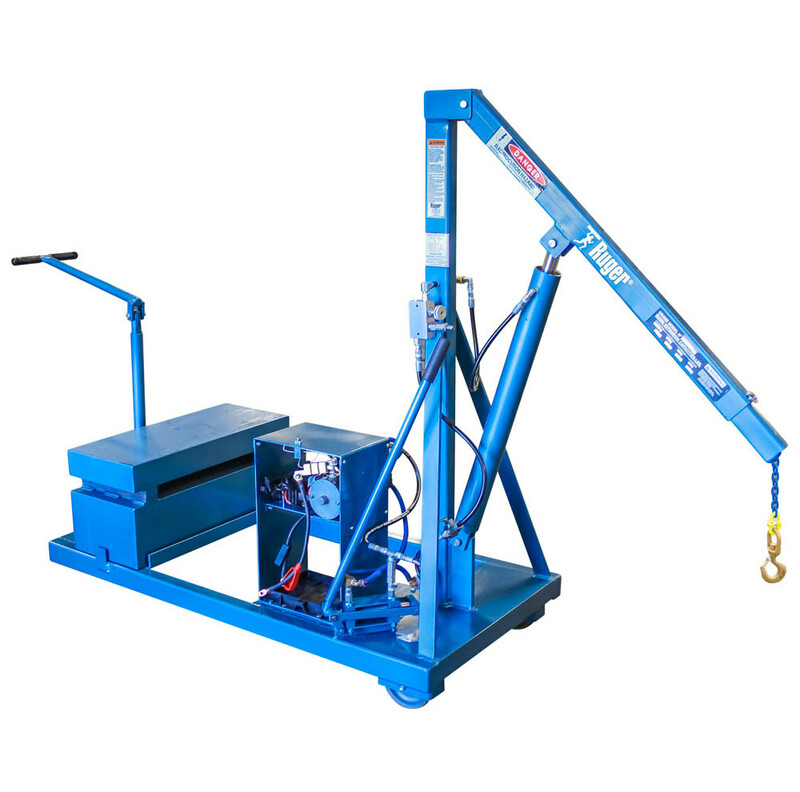 This heavy-duty floor crane style can handle all loads with ease and safety. Wide loads are not a problem for our Counterbalance Vertical Lift Truck. This unit not only offers the ability to easily handle loads but its rugged construction will assure years of dependable service. We are very proud to announce that our EZ-Steer is now available on our Counterbalanced Lift Trucks! The already easy to use unit just got a lot easier!